Children live in a world of creativity and imagination, so don't over-schedule them with programmed and pricey things to do. Sometimes the cheapest options make the best learning experiences and memories. Unleash your child's inner Matisse and buy yourself a few minutes to relax and take a deep breath. Life is art; found objects and subjects can become whatever you imagine. Set up your naturalist's backpack with a small set of watercolor paints and a brush, an empty applesauce cup, a small plastic bottle of water, a blank notebook (watercolor or art paper is best but any plain paper will do), a magnifying glass and some toy binoculars. Set out for a local park or an interesting corner of the backyard in search of something to paint. Sketch and paint one or more subjects. The painter's kit and the sketchbook imply an ongoing activity, and it's cool to look at old watercolors as you fill the book. Collect a handful of small, smooth rocks in your specimen bag during an expedition in the great outdoors. At home, dump the found rocks on sheets of old newspaper, clean them off, and use craft paints to create faces, scenes, inspirational words or tribal designs. These make great paperweights or inexpensive presents. You can also use them to hold down handmade name cards at place settings for a party or a kid-made lunch. Glue a picture to card stock. Draw puzzle lines on the back and cut it out. Let the kids trade puzzles with a sibling or friend and put the puzzles together. Keep individual puzzles in separate envelopes. Collect cool pictures from old magazines and glue them to card stock. Cut the mounted pictures in half or draw a squiggly line on the backs and cut along the lines so each picture is in two pieces. Flip the pictures face down, scramble them and play the Memory matching game. Carve away the outline of a shape in half a raw potato. 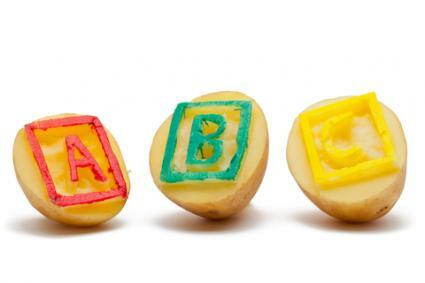 Press the potato against an ink pad or on a paper plate with a thin smear of tempera paint. Stamp the original design on the paper. If your kid doesn't want to make art, you can make stationary with custom envelopes to go with their cards. Cut scrap paper, old wrapping paper, beautiful origami paper or construction paper into uniform, one-inch strips, six to eight inches long. Make paper chains by gluing the ends of the strips together, linking each strip through the one before it and overlapping the ends of the strips with a dab of school glue. Hang the chains on a holiday tree or in a doorway or window. Invent a homemade board game. Add a personal spin to the game theme, finding inspiration in a classic book or TV show, a memorable vacation adventure or a passionate hobby. Cut down a cardboard box for the board backing, cover it with craft paper, and draw or glue the game board to the backing. Repurpose bottle caps or other small, similar objects for game pieces. Have your kids become authors! Make a picture book about a favorite stuffed animal. Write, illustrate and color the book. Staple nine pieces of folded paper to make a 32-page book, the size of a real picture book, and its cover. Take an afternoon to draw pictures in chalk on the front walk up to the porch or door. This activity works just as well in a corner of the schoolyard. Kids can scribble at will or the resident grown-up may assign spots to draw on marked sidewalk segments to keep the peace. Photograph the artwork in case it rains overnight. Curiosity is a limitless resource and your kids have it in spades. Take advantage of your kids' curiosity with activities that absorb their attention and advance their skills. You don't need a lab to make cool discoveries. Pour table salt or clean aquarium sand in a wide shallow tray. Show little ones how to use the back end of a craft paintbrush, a chopstick or an unsharpened fat pencil to "write" letters in the sand. Pre-readers can write simple rhyming words. The "at" words are a good place to start: cat, bat, sat, mat, hat, flat, etc. Get messy. Be happy. Plunk a plastic storage container on some old towels in the corner of the kitchen. Add about two inches of water and a bunch of small plastic toys and sit the smaller members of the family down to play. You get dinner made and they get a little cleaner under your watchful eye, without having to wash their hands. Plus, water play is a good sensory activity. Fill a deep plastic bin, (12 inches or taller), about two-thirds full of uncooked rice. Bury small safe objects such as toy soldiers, plastic animals, Legos, ping pong balls and other tiny treasures in the rice. Let toddlers and preschoolers fish around with both hands in the rice to "find" the hidden toys. This is a classic sensory experience and surprising fun. Reserve it for special supervised times so the thrill doesn't get old and the container doesn't get spilled. The rice stores indefinitely with the lid on. A homemade cross between silly putty and goop is a satisfying science experiment and a nice activity for a boring afternoon. Put a four-ounce container of white school glue in a jar, add four ounces of water, and some food coloring if you like. 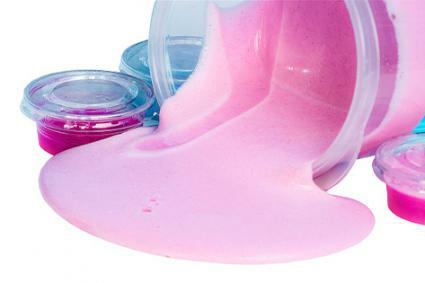 Mix one cup of water and one teaspoon of powdered borax in a measuring cup and stir it into the glue. Knead until somewhat dry. The slime bounces, takes faint impressions and otherwise behaves in wondrous and mysterious ways. Teach the concept of thrust, or action and reaction, with simple balloon rockets. Tie a long piece of string to the back of a chair. Thread a drinking straw over the string and tie the string's loose end to another chair across the room. Stick two pieces of tape on the straw, leaving enough tacky tape to stick to a balloon. Inflate a balloon but don't tie it off. Holding the open end, stick the balloon to the tape and draw the straw all the way to one end of the string. The balloon opening should face the launch scientist and the closest chair. Let go. The "rocket" is propelled forward along the string "trajectory" by the escaping air. Get out of the house and into some neat activities for a refreshing change of perspective in any season. 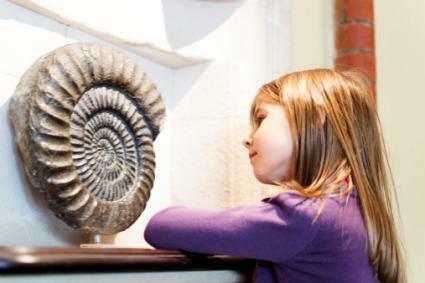 Take advantage of the free days at your local museum, botanical garden or zoo. 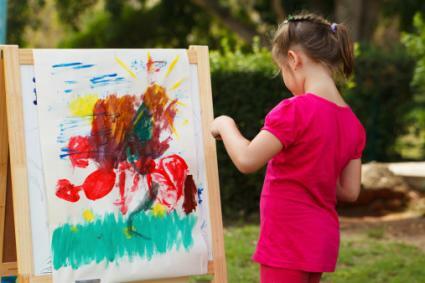 Some museums have free hands-on art workshops for kids and their caregivers. Public gardens offer magical evening holiday walks with lights, or summer guided tours through special plantings. Others teach kids how to pot and grow plants and flowers to take home. Who doesn't love a zoo? Baby animals are guaranteed crowd pleasers. Zoos may have free educational "helper" sessions where kids get to learn about and feed the penguins or check out bamboo feeding time for pandas. If you live in a city with free public spaces, take a picnic to a streetside pedestrian space with tables and chairs. You can also enjoy the free activities offered in a science or art POPS (Privately Owned Public Space). POPS offer revolving art exhibits, green spaces and mini-parks, fountains that may permit water play, free yoga classes, small stages with free outdoor performances, or just a place to kick back and people watch while you and the kids sip a drink and munch on a snack. Map your way to the library. Show children how to draw a plain map of the streets you walk or drive. On the way, take photos or take notes about landmarks. Spend time browsing for good reads at the library. Once home, let the explorers print out the photos in thumbnail size and glue them to the map and label the route. Alternatively, they can draw in the landmarks and label them by hand. On the next trip, refine the map. Don't limit yourself to the library. Map your block, the park, the trip to the grocery store, the route to school or to Grandma's. Anywhere you go, map reading is a handy skill. Turn your driveway into a fun target game using chalk and sponges. Using colored chalk, draw boxes, circles and triangles to stand in. Chalk a big bulls-eye target at some distance from the contestant boxes. Label each target ring with points; smaller circles rate highest. Kids toss old, dry sponges at the target and keep score. No paper dolls? No problem. Instruct the fashionistas to lie down on a big piece of craft paper or the driveway so Dad or a friend can outline their bodies in chalk. The more kids who participate, the zanier this can get. Then let them use real clothes, dress-up clothes and old Halloween costumes to "dress" the dolls. Take pictures for social media. Work hand-eye coordination in the backyard with a used tarp and a pair of scissors. Cut holes in the tarp, making some holes larger and some smaller or oddly shaped. Outline the holes with colored tape to reinforce the tarp and make the targets more visible. Hang the tarp between two trees or poles. Pitchers stand behind a taped line and toss a Nerf ball or another small light ball through the holes. Gather up the kids from the 'hood to decorate bikes, trikes and wagons for a summer sidewalk parade. Invite everyone out to cheer the parade. Older siblings might set up a lemonade stand or a cookie hand-out at the end of the route. The local firehouse usually offers free tours. Check for dates, times and ages. Everyone learns something and loves the up-close look at engines and gear. Some fire departments provide free safety courses for kids. Check to see if yours does and find out the recommended ages. Fairies have to live somewhere. House yours in fairy dwellings at the bases of backyard trees. Make charming houses with found objects from nature. Do the same thing in a nearby wood or park. 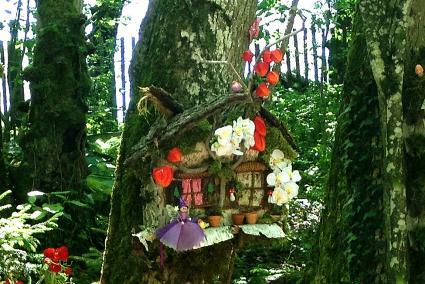 Check back on the tiny houses from time to time for evidence of fairies. Visit local farms for pick-it-yourself seasonal fruit. Collecting berries or squash connects kids to the source of their food, leading to explorations of farming, agriculture, environmental stewardship and engagement with basic survival activities. Develop some favorite recipes for using excess produce. Those will become family traditions and ensure you revisit farms and farm stands often in harvest months. Plant a butterfly bush in the back yard. When it blooms, hand kids butterfly nets and let them chase the butterflies. The kids won't be much of a threat to the butterflies, but it's fun to race around pretending to be a lepidopterist. To celebrate, have a "butterfly picnic" in the garden with fancy sandwiches, homemade lemonade and ripe strawberries. You're trapped. There's a blizzard outside, or it's raining cats and dogs, and the snarling beasts inside are even worse. Escape into your imagination and unleash theirs to restore peace and tranquility. Lay hula hoops on the rec room floor (or the lawn if the weather is cooperative) and put kids in old pillowcases. Number the cases with laundry marker if you like. Have a sack race competition with contestants jumping into every ring before reaching the finish line. Best two out of three keeps the competition going longer. Wrap up a study of ancient Egypt with a mummy-wrap, a guaranteed crowd-pleaser. Divide kids into teams. Each team chooses a "mummy" to stand in the middle and get wrapped. The team gets two or three rolls of toilet paper; use just one roll per team for little kids. Play some lively music, set a timer and go! The first team to completely cover the mummy-in-the-middle wins. The prize could be getting first choice among decorated homemade cookies or the pick of a video to watch. Abbott and Costello Meet the Mummy makes for a great choice. 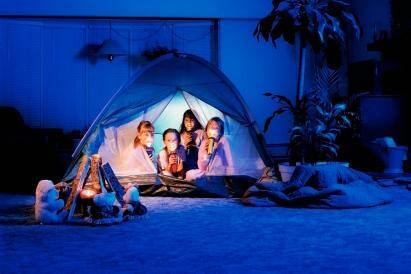 Go camping in the living room. Set up the tent and fill it with cushions and sleeping bags, flashlights and other gear. Add colored glow sticks for lights-out fun. Serve s'mores for dessert and pack them off to the "woods" in their jammies for an indoor adventure. This activity is perfect for sleepovers. Low-adhesive painter's tape is your friend. The handy blue tape makes terrific roads for toy cars all over the floor, and up and over the furniture, in the family room. Keep everyone hopping with a taped hopscotch game in the corner for the inevitable moment when the cars have crashed. Let your baby architects and engineers design a blue-tape freeway or race course as a semi-permanent fixture in their bedrooms. You don't even have to hide anything. Just make a long list of items from every corner of the house, hand them each a bag or a basket, and settle in to watch the fun. If you're feeling ambitious, you can accomplish a pressing goal at the same time: send the kids on a treasure hunt for items that you've been meaning to declutter. The kids will collect them, saving you the effort. Then toss the bags and the kids in the car, drop off your donation at your local charity and head for the ice cream shop to celebrate checking something off your endless to-do list. When planning activities for your kids, think like a kid. Play is children's work; it is essential for healthy brain development, fine and gross motor control and mastery of social skills. In addition, play is the best bonding time and it leads organically to shared values, cooperative problem solving and open communication. Plus, it's fun. Seeing the world through the eyes of your child taps into your creativity and supplies plenty of smiles all around.